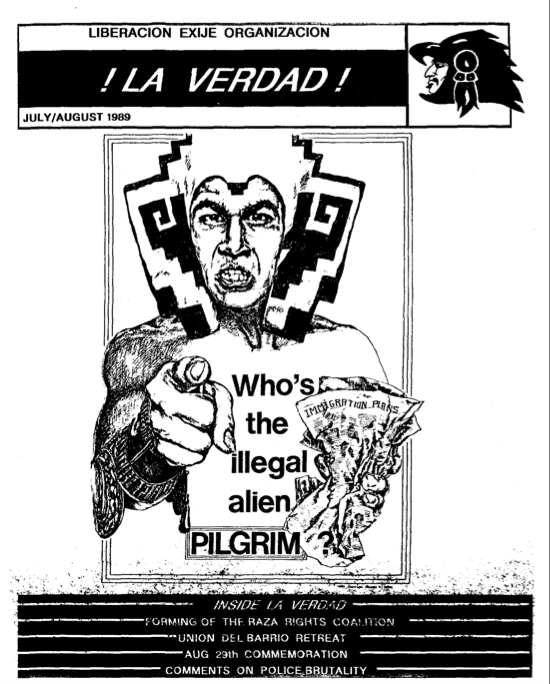 Cover of ¡La Verdad!, July – August, 1989. The Unión del Barrio archive includes images and descriptions of some of our most important publications and historical documents. Because UdB is an active organization and continues to make our own history, we prefer to retain control of these materials versus surrender them to a library collection. You may request a complete digital copy of this material by emailing UdB at <info@uniondelbarrio.org>. In your email identify the item by name and date of publication and briefly explain what you intend to do with the item. We may ask for a donation and/or charge a handling fee. Unión del Barrio Newsletter and Newspaper Archive. Las Calles y La Torcida Archive. Unión del Barrio Book Archive. 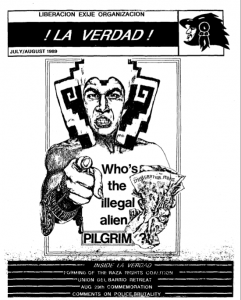 Unión del Barrio Pamphlet Archive.